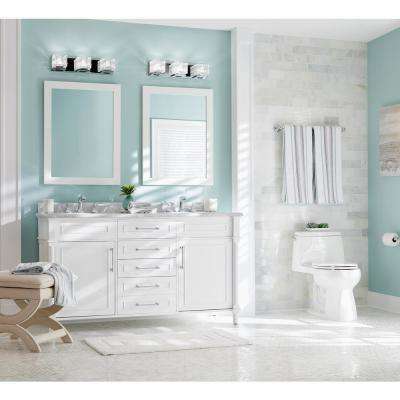 Streamline rush hour in your home with side-by-side bathroom sinks that allow two people to get ready at the same time. 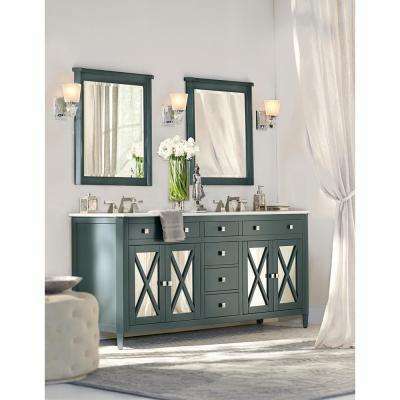 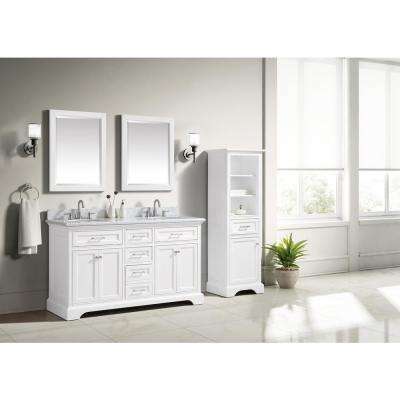 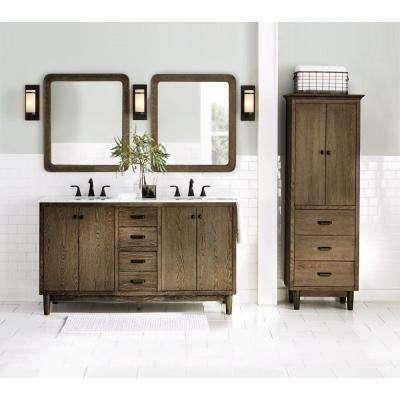 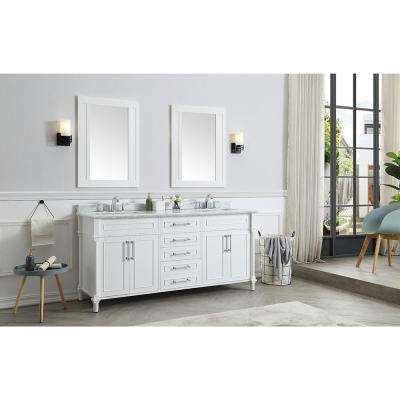 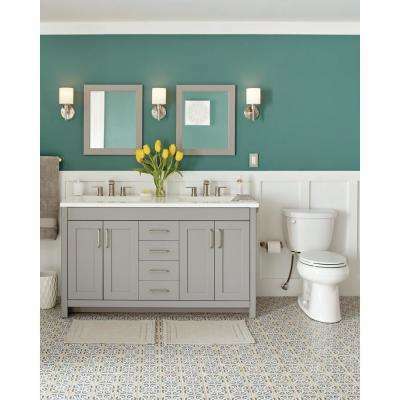 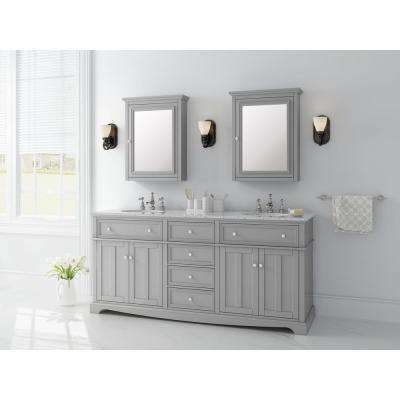 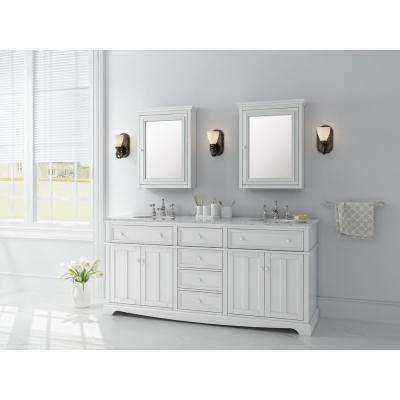 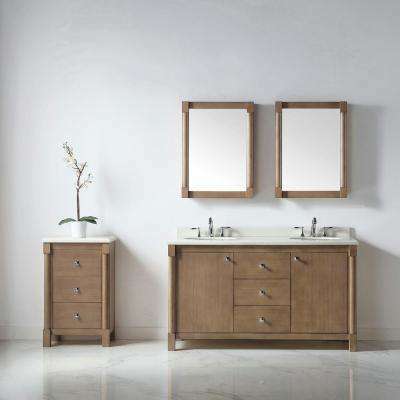 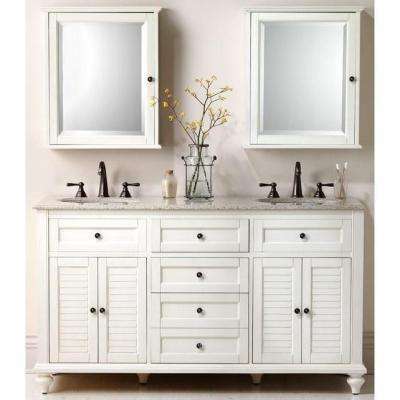 A double vanity also adds extra storage and fills empty space to balance bigger restrooms. 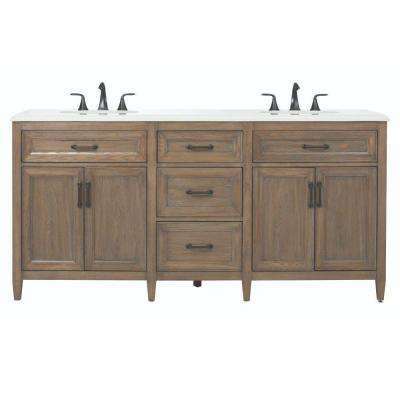 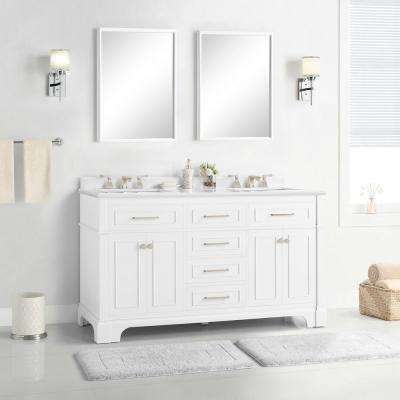 Find a combo that includes a counter and faucets for a perfect match or design a custom set when you choose your own vanity top and hardware. 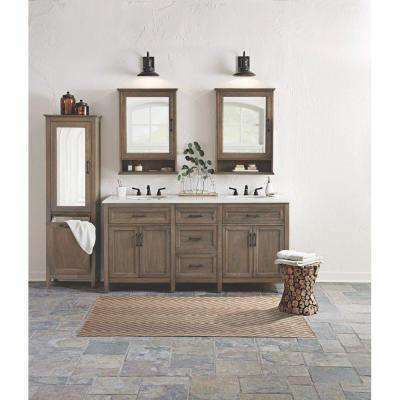 With many styles to pick from, you can update your bathroom to meet your unique needs. 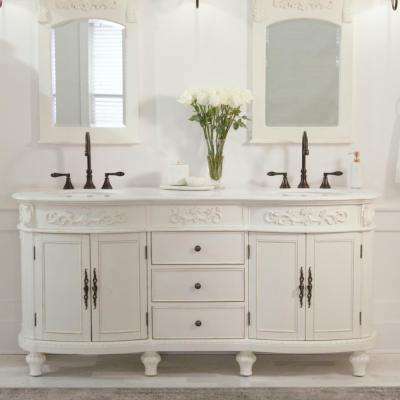 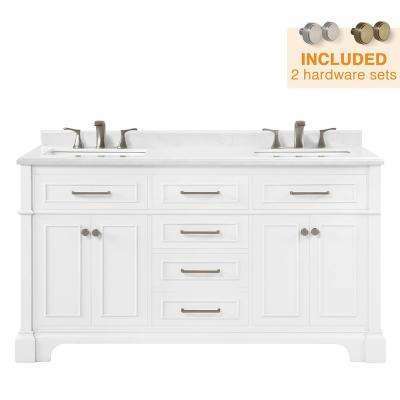 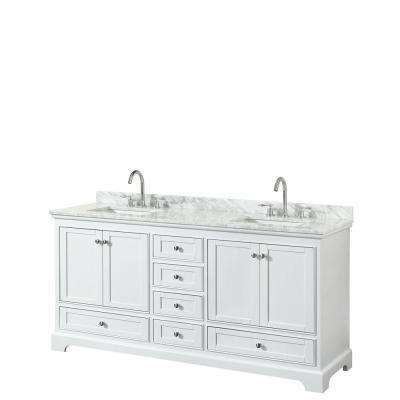 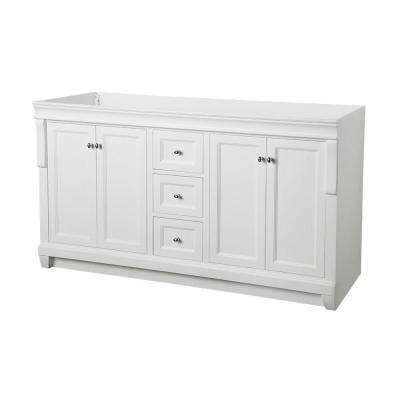 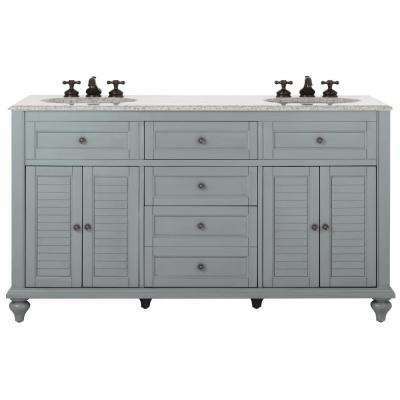 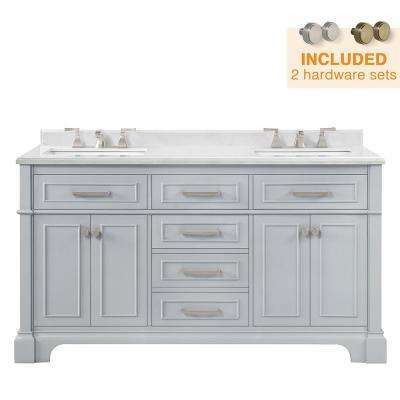 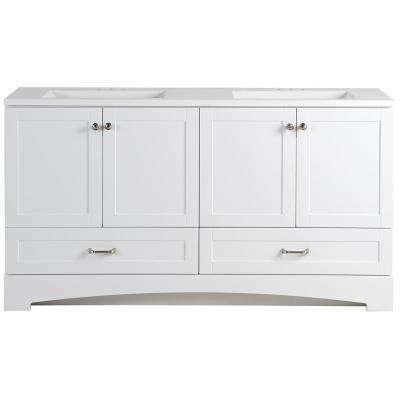 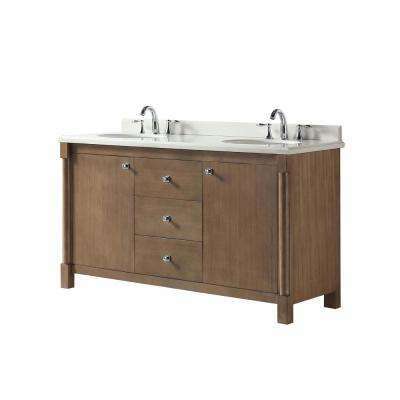 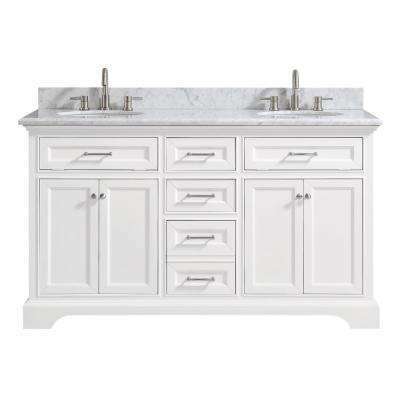 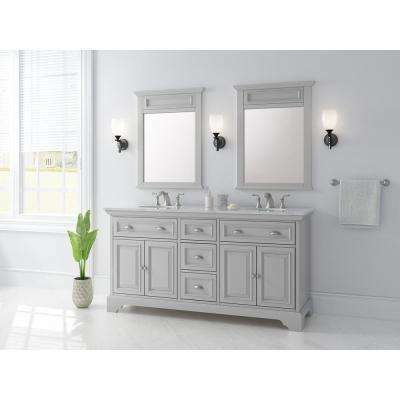 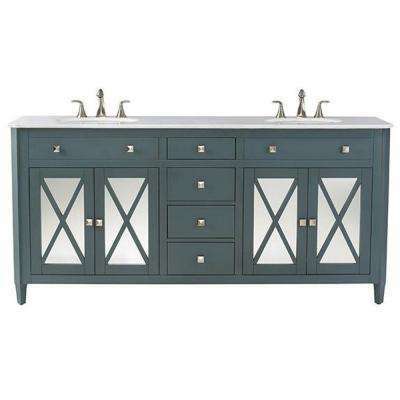 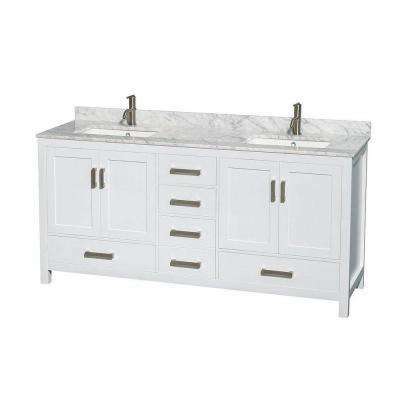 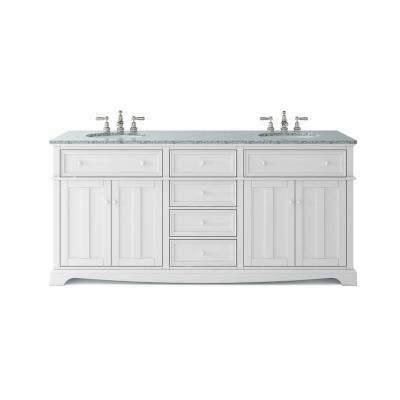 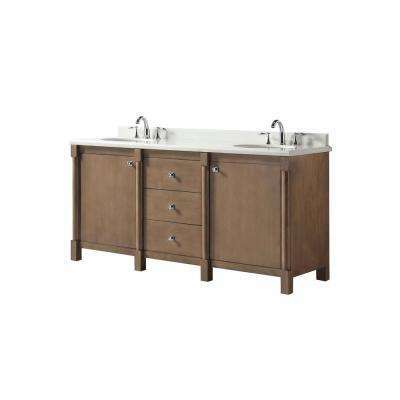 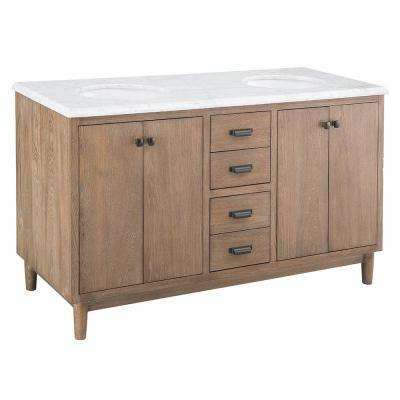 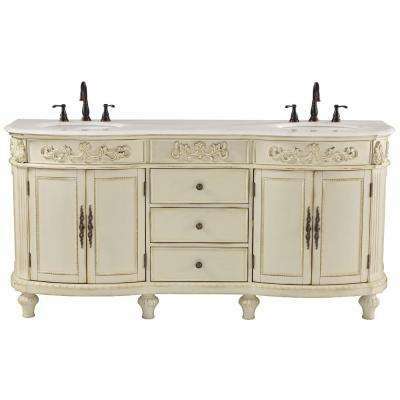 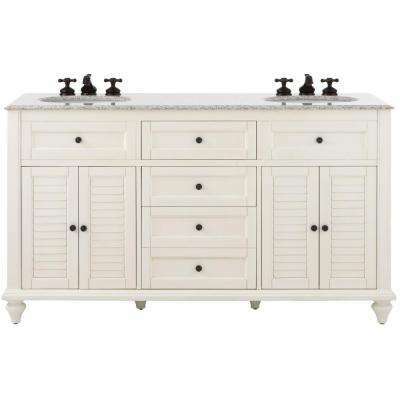 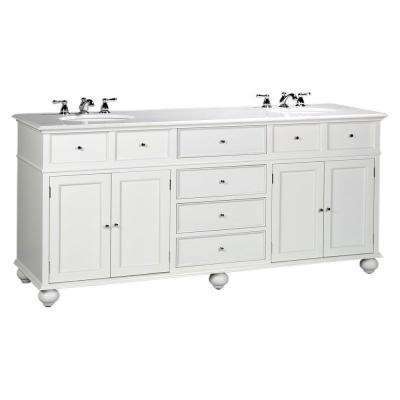 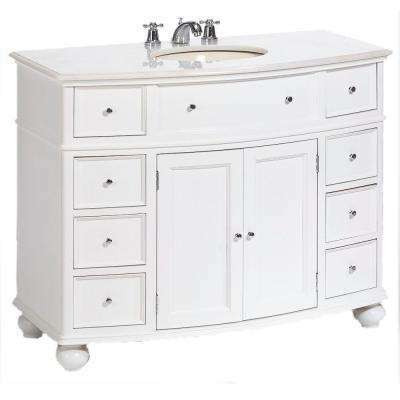 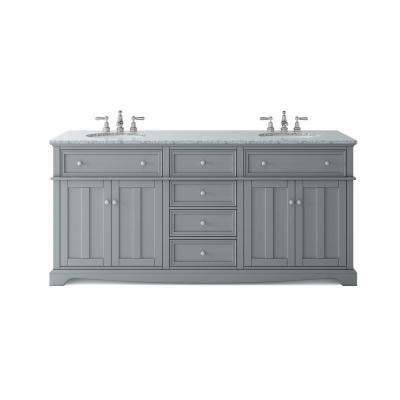 Floating double vanities are right on trend when topped with vessel basins. 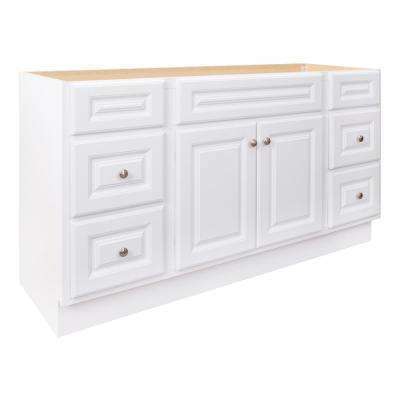 With no footprint and deep under-sink drawers, they make great use of space. 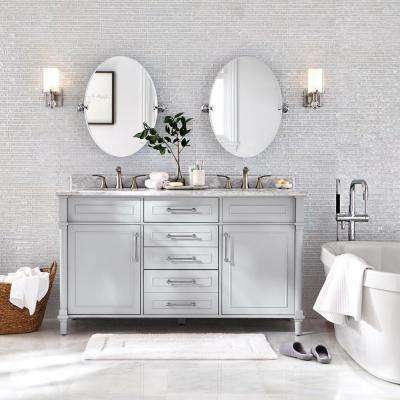 Sleek faucets, chrome hardware and a glass counter can complete a modern mood. 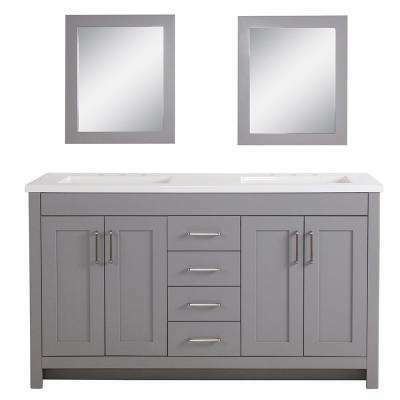 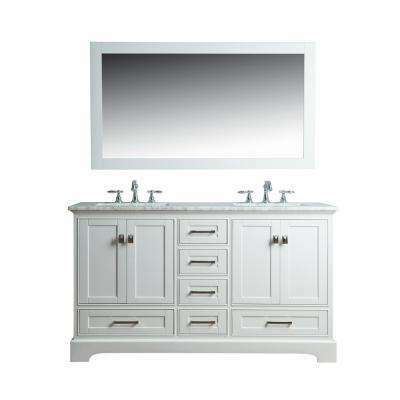 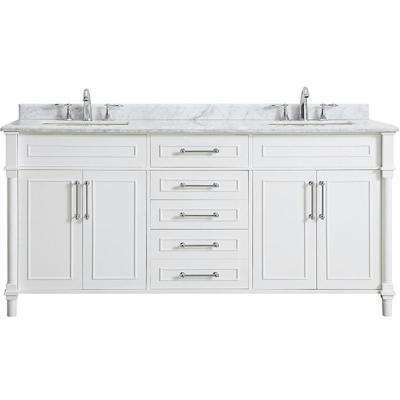 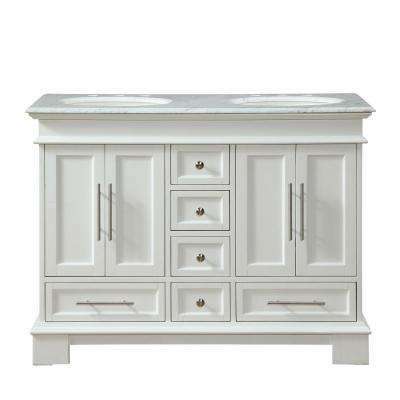 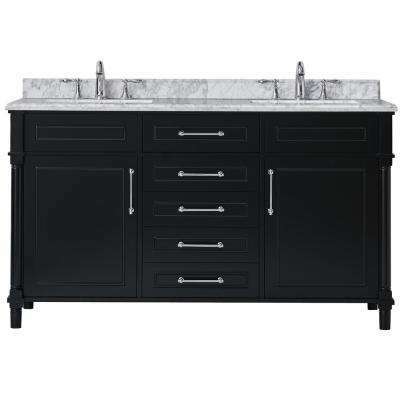 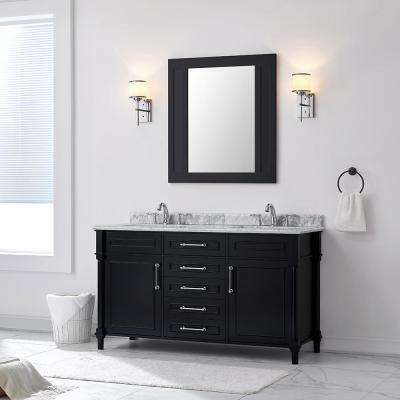 Let your vanity make an impact when you contrast a dark cabinet with a light top or white ceramic sinks. 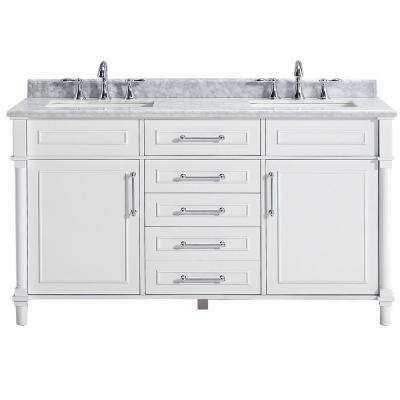 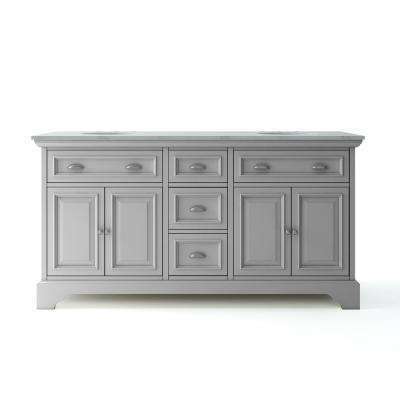 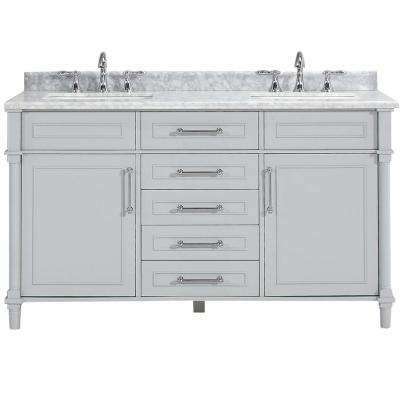 Enhance the traditional style with a marble sink for a tasteful nod to classic design. 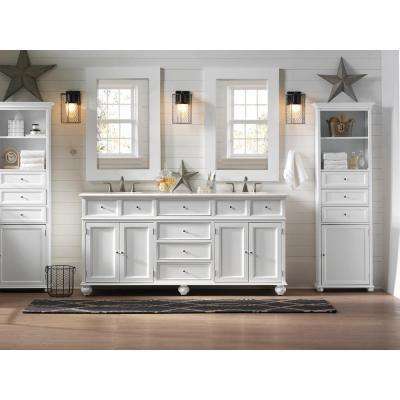 Some models span 100-inches wide to bring hidden linen, makeup and cleaning supply storage to a long wall. 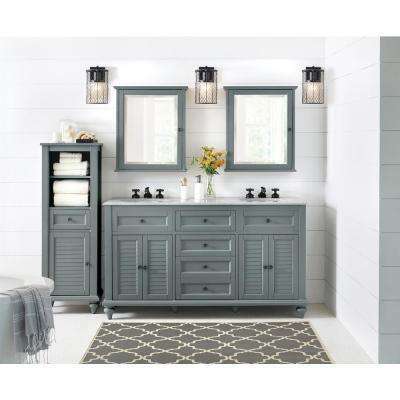 Detailed panels or louvered doors in a sturdy hardwood build add interest, and a toe-kick or turned feet can boost charm. 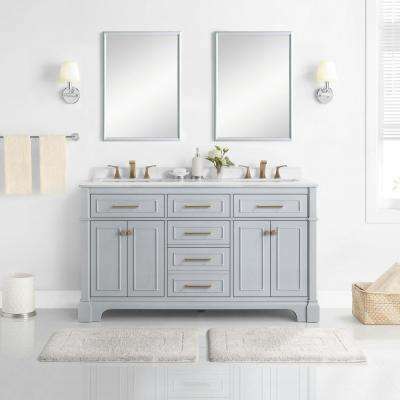 Still not sure which one is right for you? 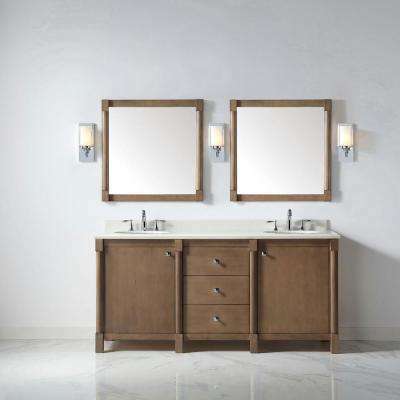 Read about the different styles you can choose from.